1. 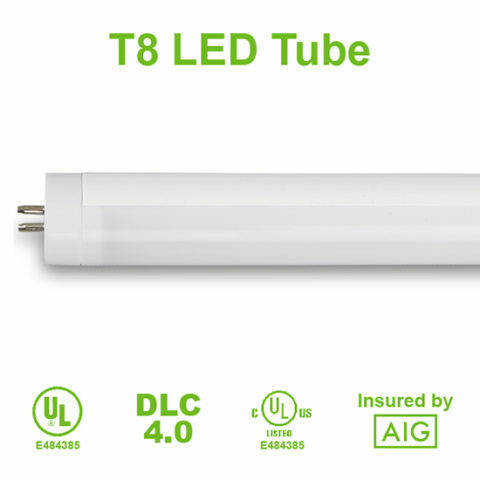 AIG product liability insured T8 LED tubes. 2. High luminous efficiency available: 150~165lm/w. With CSA test report. Single end power supply (ballast bypass) gives added anti-electric shock safety to our T8 LED light fixtures. Internal constant current driver features an instant start-up/shut-off mechanism with no warming up times or flickering. SeniorLED’s T8 LED lights also bring protection from overpowering, overheating, electrical shorting, and overexposed circuitry. Our T8 LED light fixtures (8w, 18w, 22w, and 24w) are built on Japanese RUBYCON IC, which has complete protective measures that extend product life span. 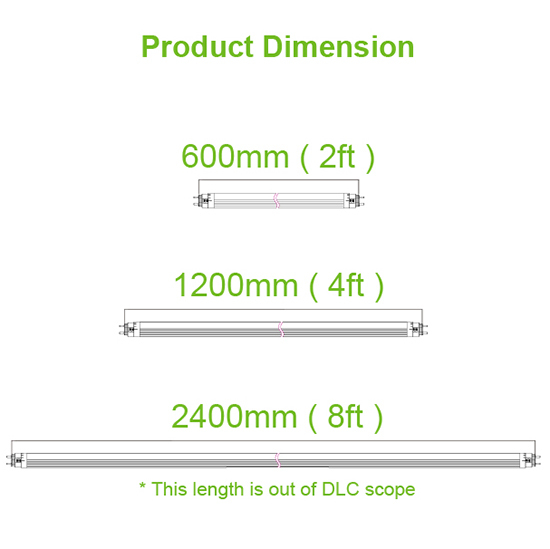 We guarantee all of the technical data in our T8 LED tubes brochure. Product data sheets are 100% authentic and accurate with no exaggeration. Aluminum casing provides best heat dissipation and longest lifespan (5 years). No bending issue and avoid possible shipping issues during transportation. Our T8 LED lights for sale are environmentally friendly and mercury free, thus eliminating hazardous installation, removal and disposal. As top T8 LED retrofit lights manufacturers, we supply high performance LED lighting products all over the world including USA, Canada, Australia, UK, Middle East, and Asia. While we cater to T8 LED tube requirements of businesses and organizations all over the world, we are also supplier of Panasonic & Kodak Lighting USA, meaning we ship millions of LED products every month. 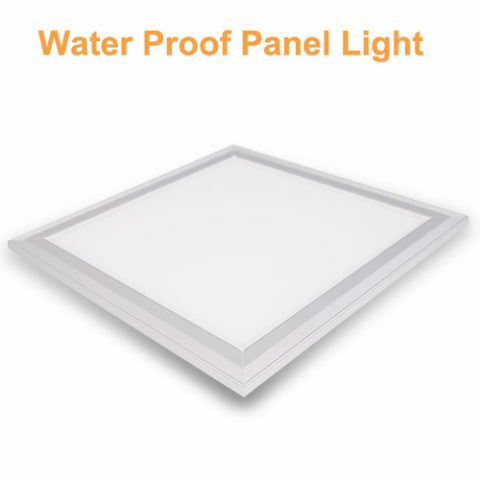 SeniorLED also provides OEM and ODM products and services to brands like Home Depot. 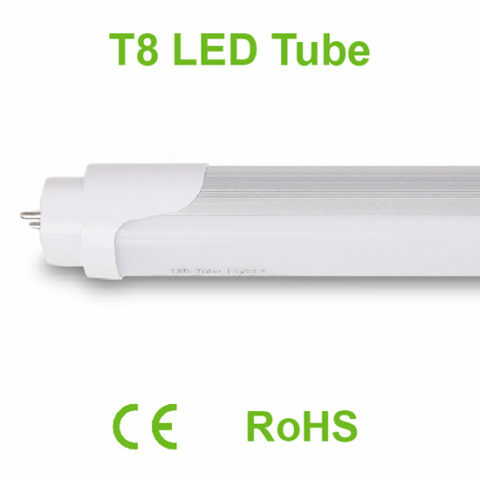 Not sure which T8 LED tubes with aluminum (8w, 18w, 22w, and 24w) are perfect for you? Call (+86) 139 6488 0018 or drop an email at info@seniorled.com to discuss your requirements with our team of LED engineers. SeniorLED dedicated thousands of hours in market research and product innovation before designing USA optimized T8 LED light bulbs and fixtures. That’s why they have no match in terms of efficiency, material, lifespan, warranty, and efficacy. Have a look at the product specifications table to understand why our T8 LED lights with aluminum case experiences a huge demand from not only the USA but also Canada, UK, Australia, Middle East, and Asia. Fill the form to discuss your T8 LED lights queries with our team. SeniorLED is a supplier of Panasonic and Kodak Lighting US and employs only the best packaging & shipping practices to deliver T8 LED tubes to our growing global clients. Every product is securely packed in individual boxes which are later bundled in a sturdy cartons and wooden boxes. Our every shipment of USA optimized T8 tube light fixtures is insured by AIG and comes with the promise of easy returns in case of damage. Focus on client experience is one of the reasons why SeniorLED is the top T8 LED retrofit manufacturers and suppliers in the world. SeniorLED supplies OEM and ODM products and services to global brands like Home Depot. However, this doesn’t mean our T8 LED light fixtures come at a premium price tag. We offer bulk LED tube light fixtures and lighting solutions at competitive pricing. Want a custom quote for your consignment of USA optimized T8 LED tubes? Fill the below form and we will send you the best price for your lighting needs. SeniorLED promises you top quality and power saving LED LED tubes and lighting fixtures in 8w, 18w, 22w, and 24w power output.